Do you have a movie or band poster that you would like on your wall? We have a large selection of poster frames to choose from that will match your style. 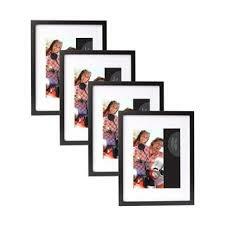 Our Poster Frames are available in a wide variety of colors and styles. We offer many different frames styles to choose from in wood and metal. Our poster frames range from sizes 18x24 inches to 24x36 inches. These poster frames are made from the highest quality materials for lasting beauty. They come fully assembled with mitered corners, clear Glass or acrylic plastic sheet front and a hanging system for vertical or horizontal display. You can take your poster frame home and put your art in it yourself, it makes a fun DIY project, or our team of friendly framers can easily assemble them for you.